TAKE ACTION: Tell the California legislature you want safe and affordable drinking water for all Californians. More than 300 communities and one million Californians are exposed to unsafe drinking water from the taps in their homes, schools, and communities each year. This crisis has gone on for too long. This is a statewide public health crisis, impacting communities across the state, including Los Angeles. For our health and our children's safety, California needs to create a Safe and Affordable Drinking Water Fund. 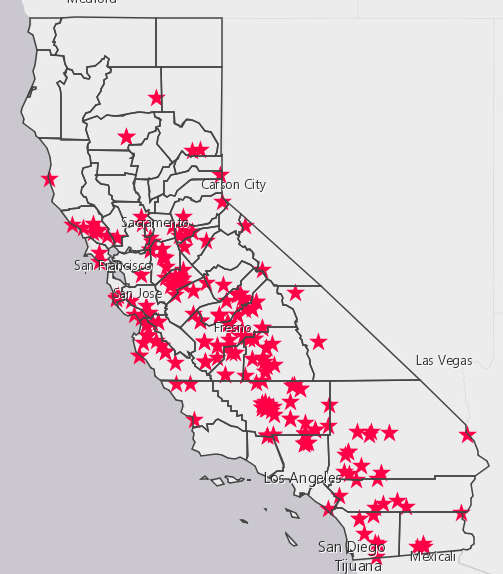 Public water systems not meeting federal or state drinking water standards as of May 9, 2018 are marked with a red star. See more information here. legislation (SB 844 and SB 845) to solve California’s long-standing drinking water crisis. The legislation builds upon the original proposal for a Safe and Affordable Drinking Water Fund, with changes made to ensure broad support and effective implementation – because California families with toxic water cannot afford to wait any longer. Take action now to tell your state legislators to support SB 844 and SB 845! See more information here. Polling shows that more than two-thirds of Californians support this type of solution to our drinking water crisis. Editorial boards at the Sacramento Bee, the Los Angeles Times and San Francisco Chronicle also urge legislators to support! 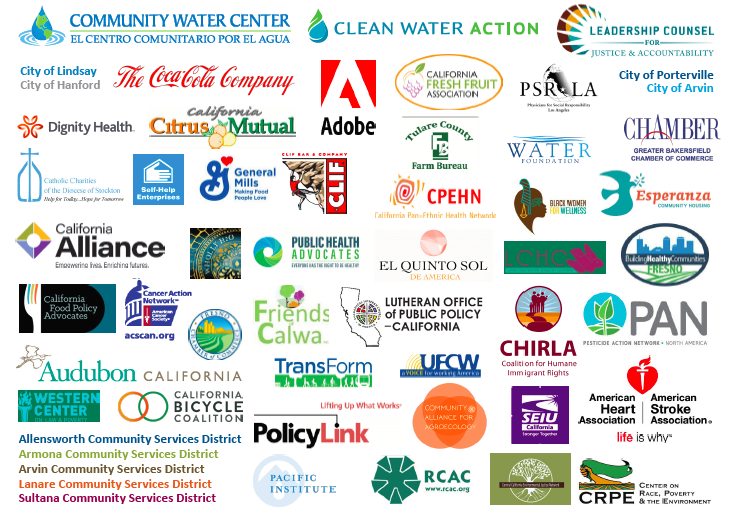 Take action now to join the effort to ensure safe and affordable water for all Californians. You can find more information on the fund here. Support safe water for all by taking any of the actions below! *You'll receive a call from 559-517-3292 that will provide you guidance on what to say to your officials, and then patch you through directly to them. Thank you for making your voice heard. With your help, we'll ensure all Californians have access to safe, clean and affordable water! Share that you're concerned that 300 communities and more than 1 million Californians are impacted by unsafe drinking water each year. Urge the legislator to support the Governor's efforts to create a Safe and Affordable Drinking Water Fund by passing SB 844 and SB 845. It is a needed solution to a crisis that has gone on for too long. This is a basic human right and California needs to lead on solutions!